San Michele Restaurant and Pizzeria on the road that runs along the Tiber River, on the Trastevere side, was another top recommendation. Questa foto di San Michele è offerta da TripAdvisor. 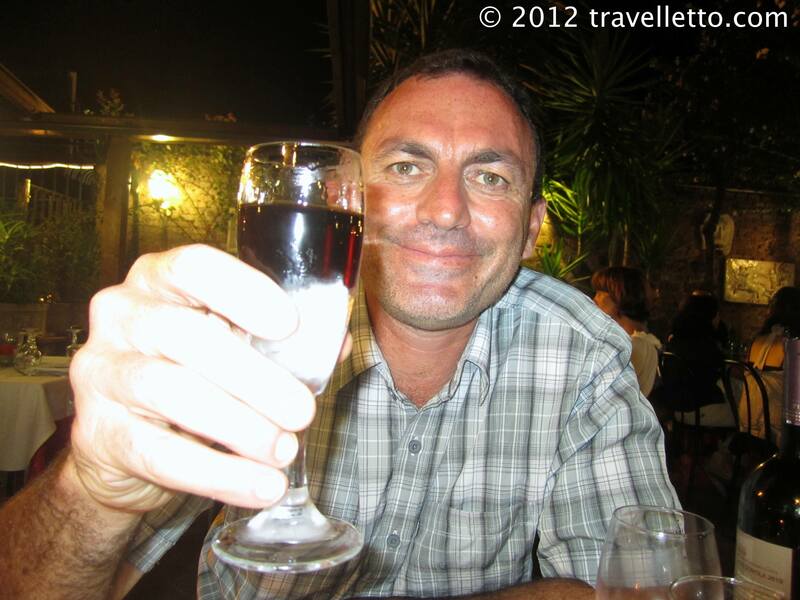 It was our last night in Rome for a while and both Zorba and I wanted to have a fantastic farewell meal. The setting of San Michele is just beautiful. It is like a large private courtyard filled with jasmine, trees, potted plants, water feature and the odd sculpture. The pretty little lights take away the darkness with a subtlety and a huge canvas market umbrella provides shelter for the middle few tables. Short stout Italian men in black trousers, white shirts, vests and bow ties were scurrying around with haste to service the Italians dining in. No stranieri or foreigners here, just well dressed Italians. Antipasto was mozzarella di buffala, stuffed zucchini flowers with mozzarella and anchovies, and stuffed crumbed olives. A trifecta of yum! The mozzarella had a very light outer with gorgeously soft silky almost sweet mozzarella centre. Absolutely heavenly. Zorba said it was the best mozzarella he has ever eaten – and that’s a big call because he eats it at every opportunity. 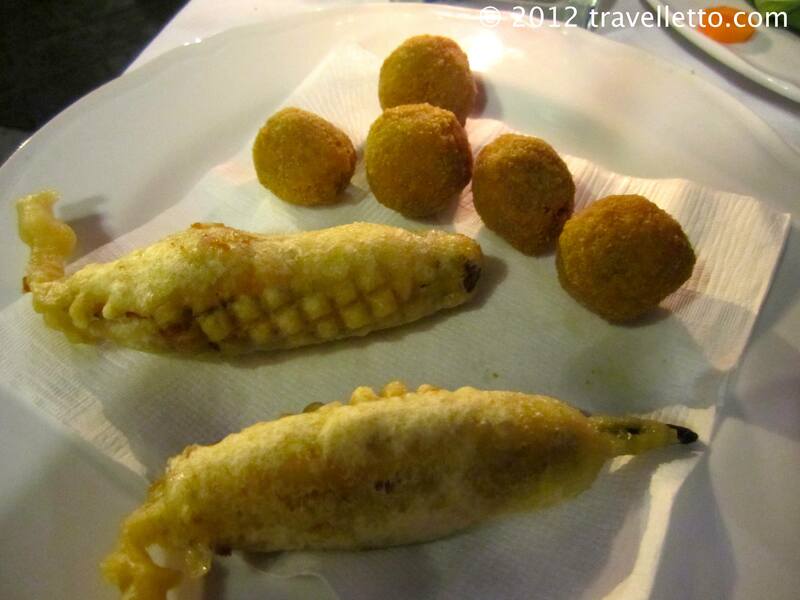 The delicate zucchini flowers were crispy, slightly salty from the anchovy and again, deliciously moorish. 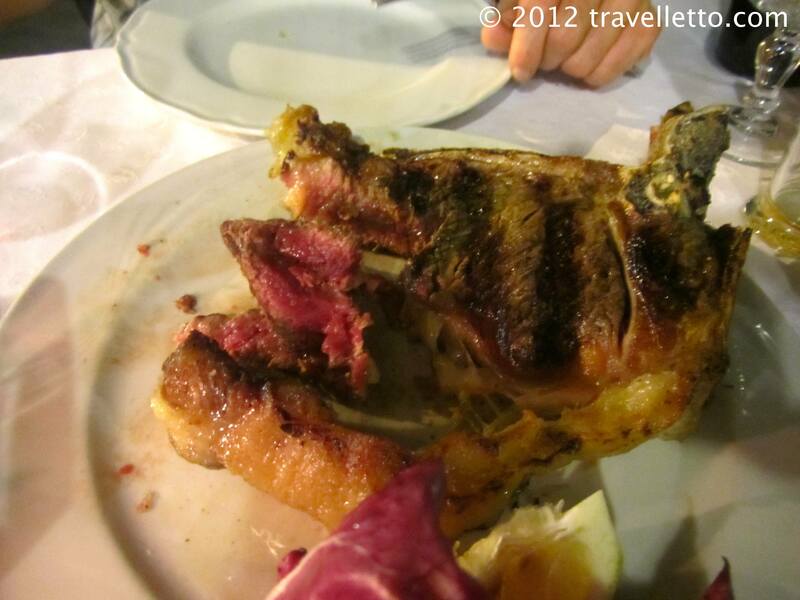 For main course, Zorba and I shared a 900 gram bistecca Fiorentina – or Florentine t-bone steak. This is no ordinary steak. There is a special breed of beef that this meat comes from. It is cooked over coals, slightly charred on the outside and served rare to medium rare. It is so succulent and tender that the meat just melts as soon as it hits your tongue. I was in food heaven. It was also really great to eat meat again after all the unintentional Italian carb loading we have been doing. Although it was not so great when Zorba picked up the bone and started gnawing on it to ensure that he had eaten every last scrap of meat! I was mortified! No no no no NO! As much as I secretly love to do that also, not in public and certainly not in a nice restaurant! 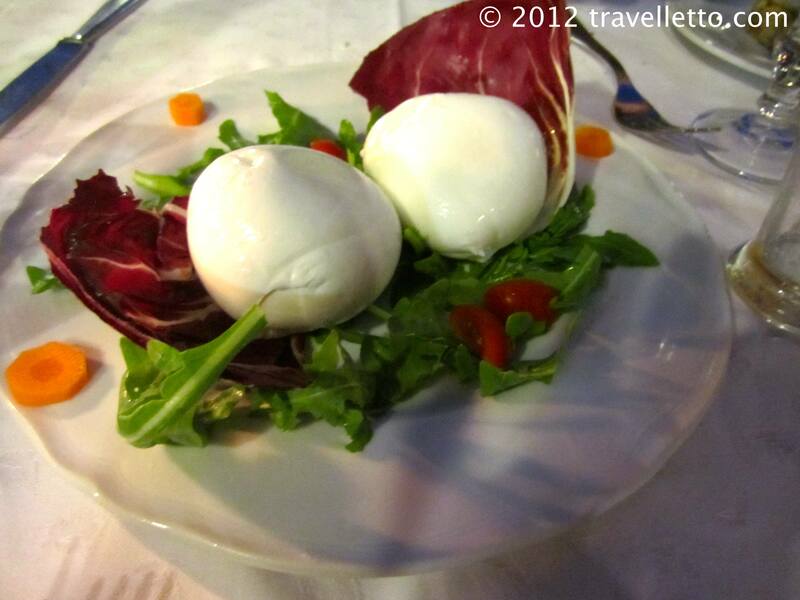 Thankfully, no one seemed to bat an eyelid – after all, we are in Italy and Italians really do appreciate good food. For dessert we shared a chocolate gelato. Always a winner. Naturally, we had to digest and luckily we had the help of a couple of Amaro liqueurs that were served in a glass half-filled with frozen water, which when it melted slightly, turned into huge ice cube. It was pretty cool actually. 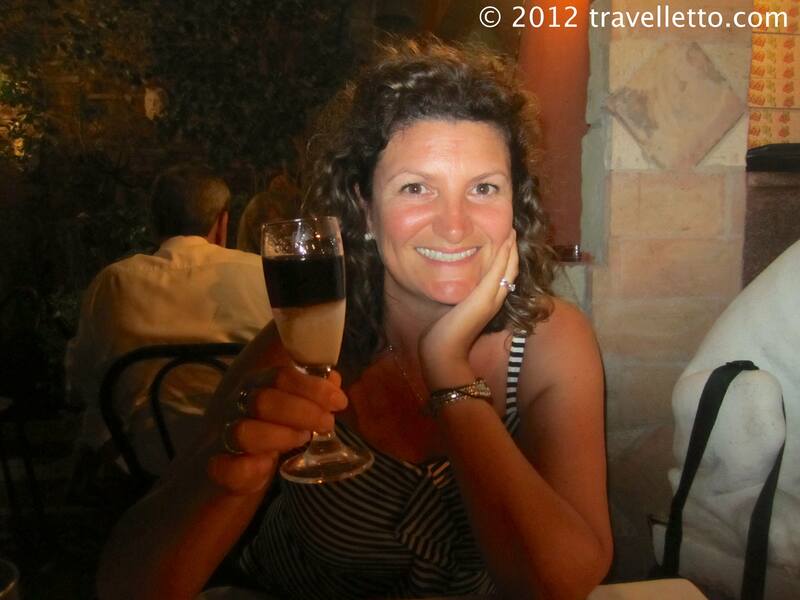 Thanks to my my Aussie friend Cat who has been living in Rome for six years for this fab recommendation. This wins meal of the trip so far. Ten out of Ten.